Not everyone has natural artistic talent. I would say I'm a so-so drawer if I had something to copy. But, if I had to create something from scratch. Nope. Terrible artistic talent. However, I really want to learn how to draw cute style dogs. So cute! And such personalities! 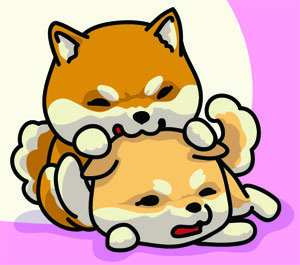 Specifically, I want to learn how to draw cute Shiba Inu dogs. After all, I do blog about them. After browsing the Internet for advice on how to draw dogs, i'd come to realize that drawing is hard. 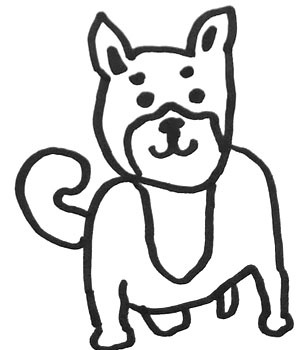 And drawing Shiba Inus - even simplistically - is hard as well. Shiba Inus have such perfect proportions, curves, and angles that getting just one mark wrong can ruin the whole drawing. Not the prettiest sketch to start off with..​..
Tacking on the difficulty of capturing their unique and quirky expressions makes the drawings even more difficult. 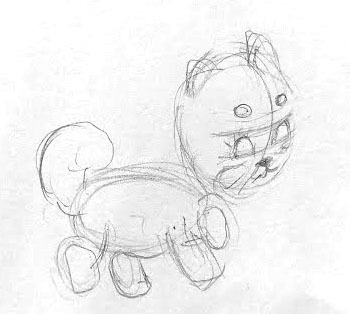 So instead of drawing a cute Shiba Inu, many of my initial attempts looked more like fat Chihuahuas. 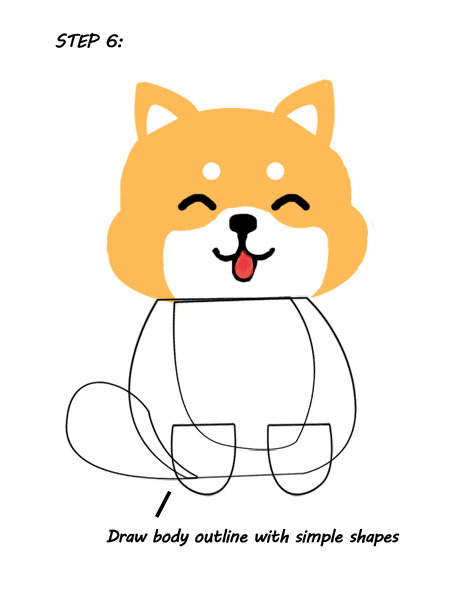 However, after much time and patience, I did manage to glean some insights on the art of drawing a simple but cute Shiba Inu. The following is a compilation of my best advice and tips. 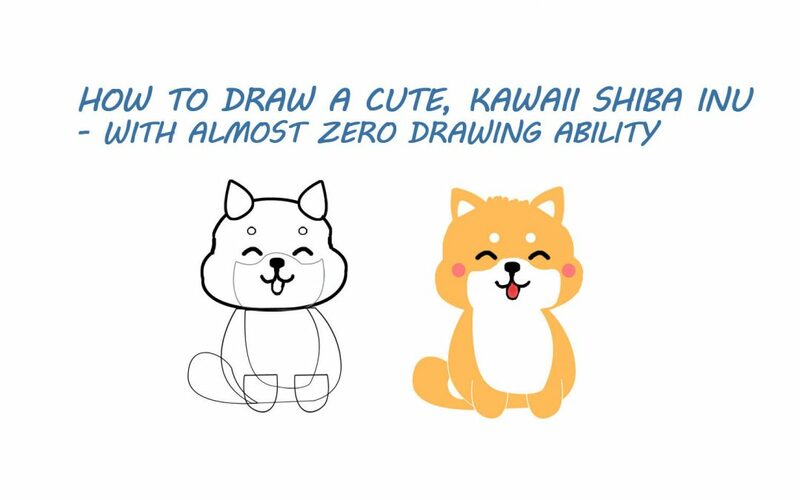 What type of cute Shiba Inu drawing style would you like to master first? You can choose from realistic, kawaii / cute, cartoon / anime, and gestural to start with. Out of these styles, the kawaii / cute style is the easiest and also the most popular. 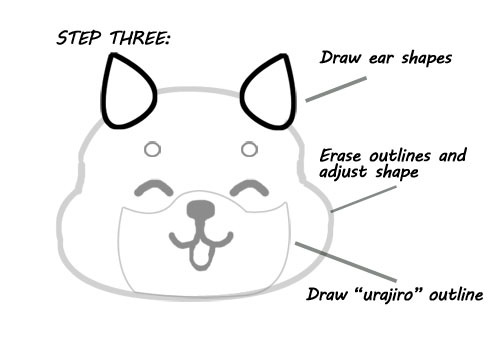 There's also a tutorial on drawing a cute dog kawaii style towards the end of this article. 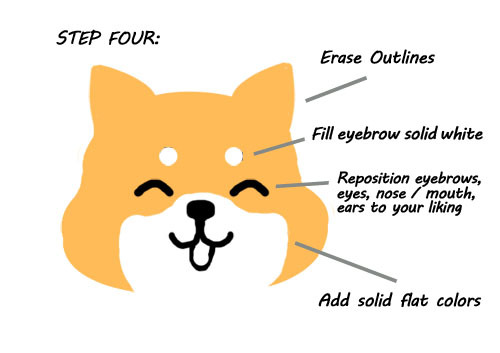 Although you may be tempted to draw a Shiba Inu directly on the computer, start with the basics first. Even if you are a whiz on the computer it's best to get a rough outline of your drawing before digitizing. Check out these terrific tips on pencil drawing techniques here. Most non-artists like me begin with dark lines right off the bat that's difficult to erase later. Start with very light pencil lines and only start darkening them when you see symmetry starting to evolve. Some drawing teachers employ the use of circles and lines to start drawings. Feel free to experiment with which method helps you the best. 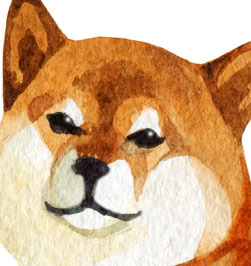 I've never been that great at drawing circles / shapes for realistic Shiba Inu drawings because if I don't have the skills to draw in the first place, I won't have the skills to know what size circles to draw and where to place the circles either. 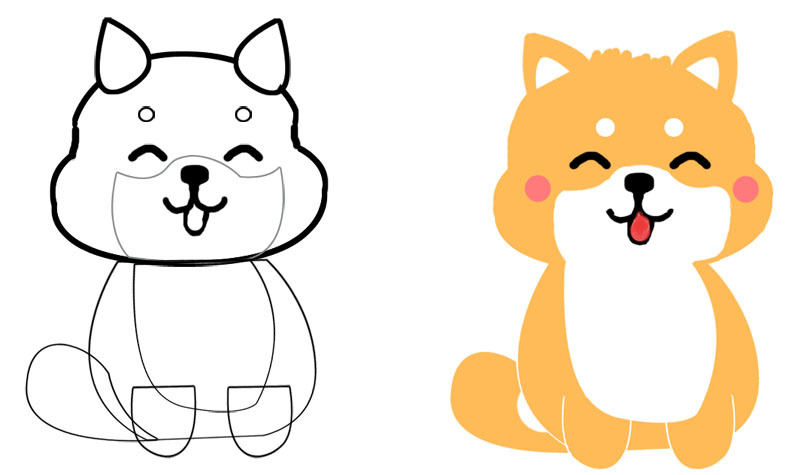 However, I do love using shape outlines for kawaii style Shiba Inu drawings - which you'll see later in this post. The eyes is first thing that is seen on any drawing. If you can get the eyes right, your drawing should look great even if other elements of the drawing are off. The Shiba Inu has a very distinct eye shape (slightly slanted almond eyes) as well a distinct expressions. For whatever drawing technique you do, make sure you give a lot of attention and detail to the eye - whether it is a hyper realistic eye or a simple black smudge. 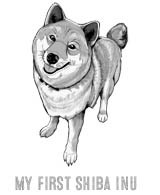 This is another factor that makes or breaks Shiba Inu drawings. Shiba Inus have wide cheeks and a solid, compact body with a fat curled tail. Mastering this element of drawing a Shiba Inu is quite difficult and takes a lot of practice - especially if it's in the realistic style of drawing. A lot of beginning drawers, myself included, get quite discouraged after spending a lot of time on the basic outline and then feeling that the drawing is a complete flop. At this point, I usually give up and tell myself that I simply don't have any drawing talent. It's amazing how color and shading can transform a mediocre outline into something quite pleasant. This is especially true with Shiba Inu drawings. Shiba Inus have unique coat color marks with a distinctive feature called the urajiro. This urajiro can only be appreciated once the Shiba Inu outline has been shaded and / or colored in. The kawaii style is usually thought of as a cutesy style aimed at young children, especially young girls. However, the story behind kawaii design goes much further than you think. Read more about the kawaii evolution here. 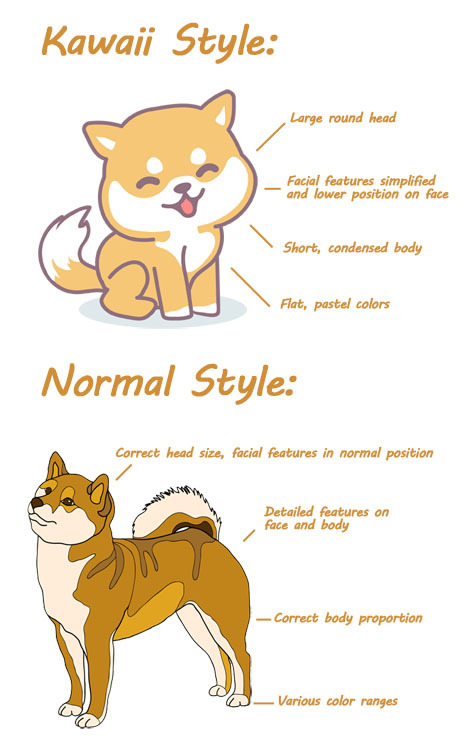 Also, although the style of kawaii is so simple, there are definite design rules and principles that the average non artist will fail to notice and appreciate. Kawaii characters feature large heads and a smaller body. Both the head and body are on the chubby side to mimic the look of babies and young cute animals. 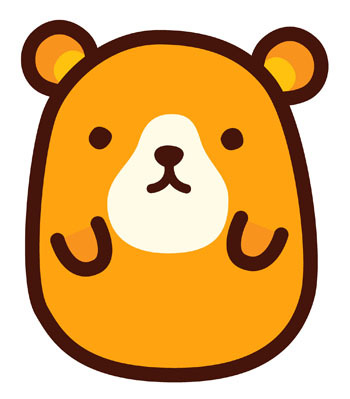 The style of kawaii is simplistic and depends on strong, purposeful outlines to give the character its unique kawaii style. Practice with simple shapes to start and then work on creating an Shiba Inu outline that adheres to the ​kawaii principles. 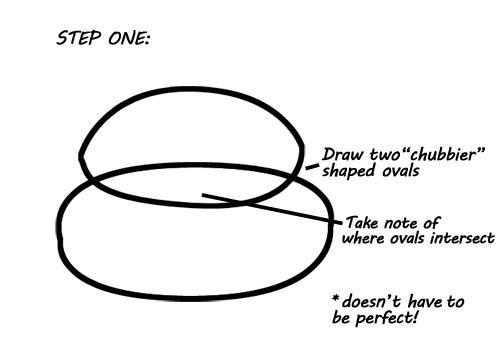 Perfect circles are a no-no in kawaii design - always go for some shape irregularity. 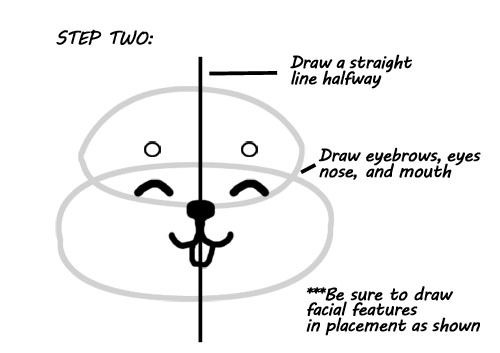 Also avoid strict symmetry when drawing your kawaii design character. A bit of asymmetry ensure that your design doesn't look to kindergardenish and visually boring. Position of facial features important! The drawing and placement of kawaii facial features is really the heart of everything kawaii. 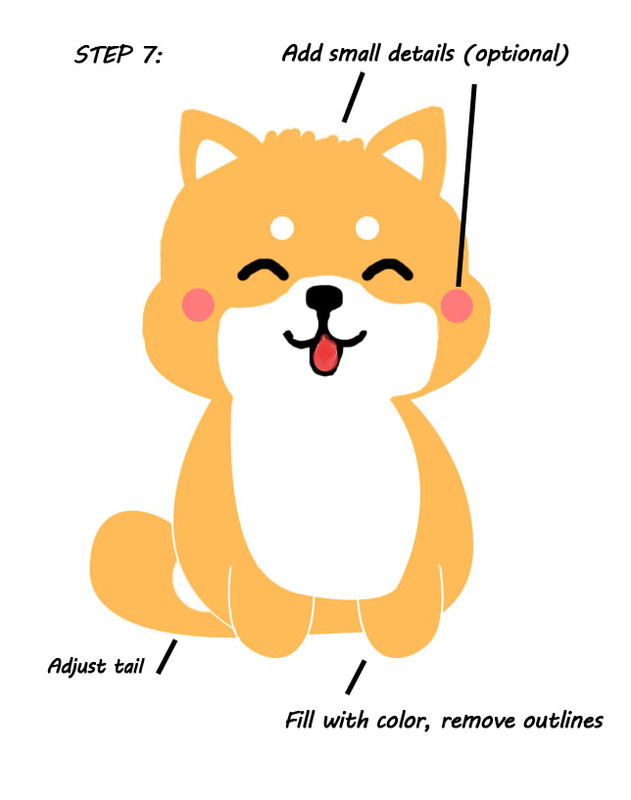 Even though the main kawaii facial features are composed of simple black dots and a few lines - the placement of these simple elements will make or break your kawaii Shiba Inu design. Spend a bit of time learning how to draw black eyes with white dots for highlight / eye reflection. Then spend even more time moving the eyes and other facial features around to see how little differences can make a huge impact! To really up your kawaii drawing skills, don't forget the little details such as color, outline, and pattern design. 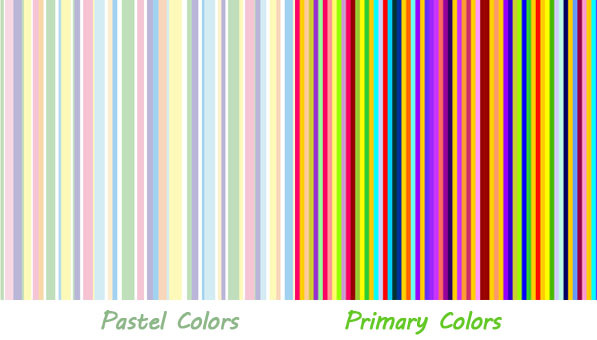 Most kawaii characters use soft, pastel-like colors instead of the typical rainbow color wheel palette. Kawaii characters can be outlined or not outlined depending on your desired effect. Try experimenting with various outline weights, colors and strokes. Finally, don't forget to think about pattern and texture in your kawaii drawing. You can achieve this with simple squiggly lines and repeating patterns. 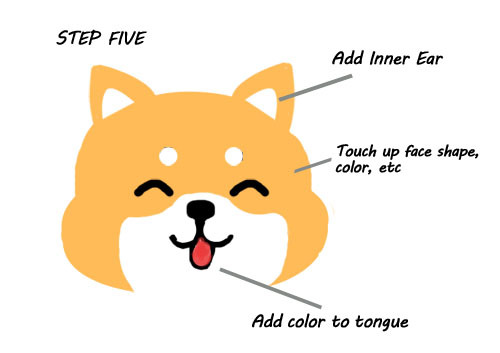 Before sketching your kawaii Shiba Inu outline, be sure to keep in mind the kawaii design principles listed above. The use of organic shape outlines makes kawaii drawing both simple and fun. The key to kawaii is learning some basic outlining techniques and principles. So have fun drawing in kawaii! Don't stress about getting it perfect. Experiment, and you'll be amazed at your new drawing skills!